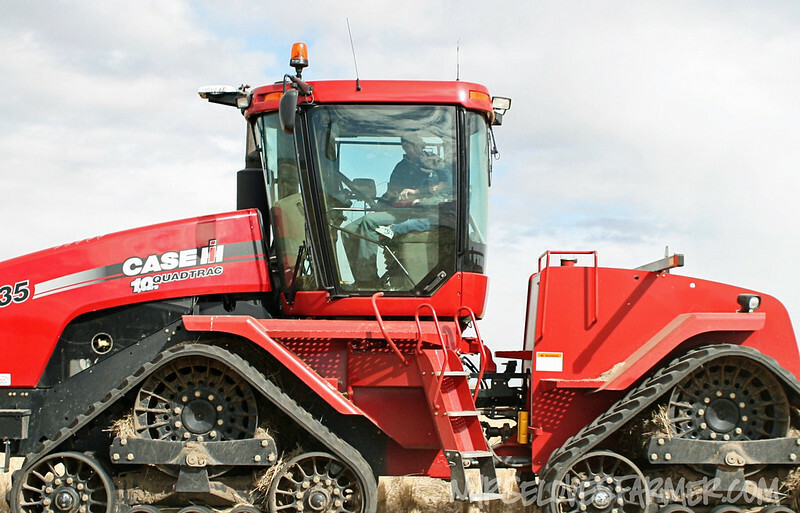 So the farmer in the title of this blog finished seeding/planting this year on Tuesday! It was a wonderful seeding season, it’s not often they’re done this early, and especially having so much moisture (including SNOW!) at the beginning of May! They finished Tuesday before lunch, and by supper it was raining, so it was just perfect! 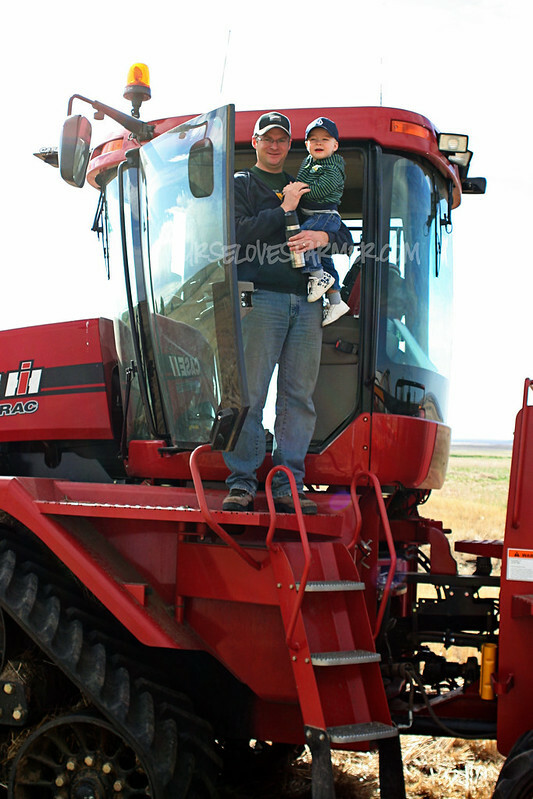 In the last few passes, Jay called me out to take Braden for one last tractor ride and to take some pictures. I can’t believe I hadn’t taken any pictures of seeding yet this year! Talk about last minute! 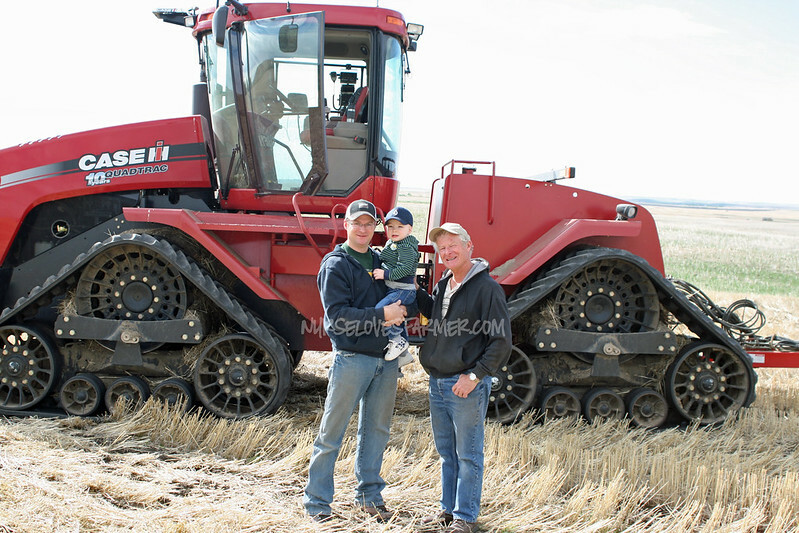 And I am a little bit, a lot in love with these pics of Braden walking out to the tractor with his Papa! Three generations of Schultz boys! 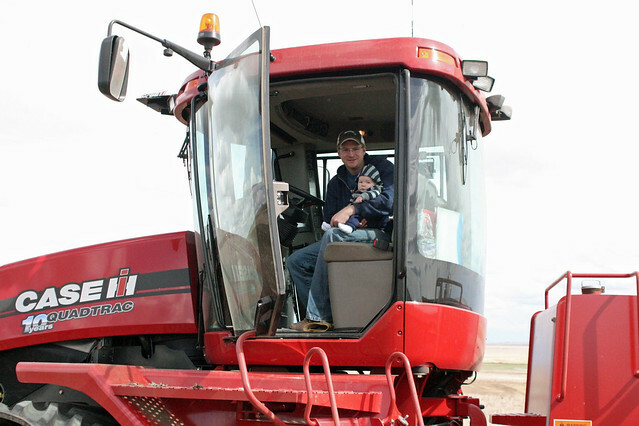 Daddy & Braden ready to go seeding! Rain clouds looming over by our house! If you look closely, you can see Braden in there! And one last picture with a vintage effect. 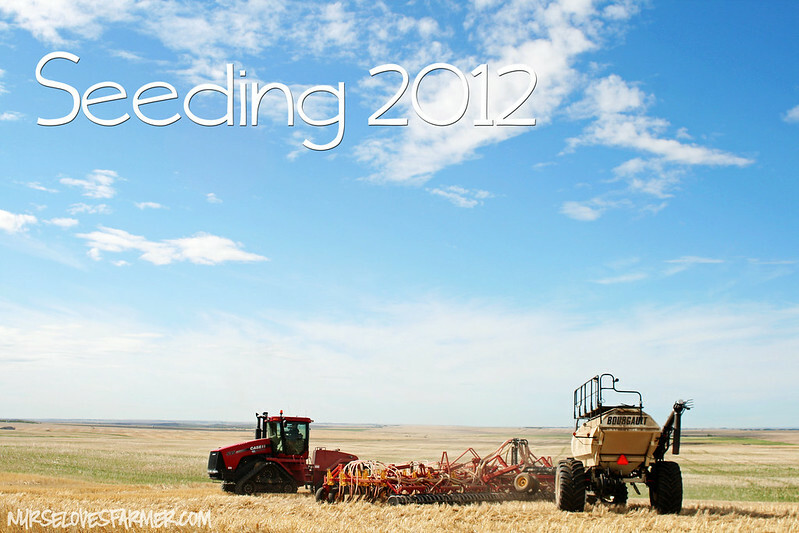 So, seeding is officially done and now I can have my husband back and start taking some shifts at work again! « The Biggest Pregnancy Brain Moment EVER! 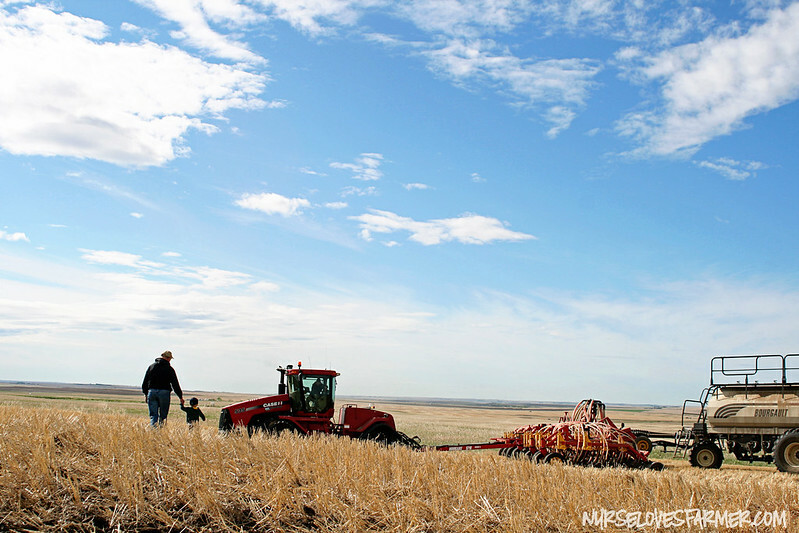 I love seeing how farming is done in other parts of the country/North America! The skies up there in Canada are unreal!! Beautiful!! Oh thanks so much, we sure do love all the land too, but as I said to Libby…we need TREES! ^^^ and THIS country girl…not the country girl. you take such amazing pictures!and the country girl LOVES all the land around your place…it makes me want to go stay the weekend out at my momma's soon 🙂 there's something so freeing about sitting on your porch and looking at a bunch of nothing but field, sky, and a distant tree-line with a cup of coffee. YAY! Congrats on being done! Oh and p.s. 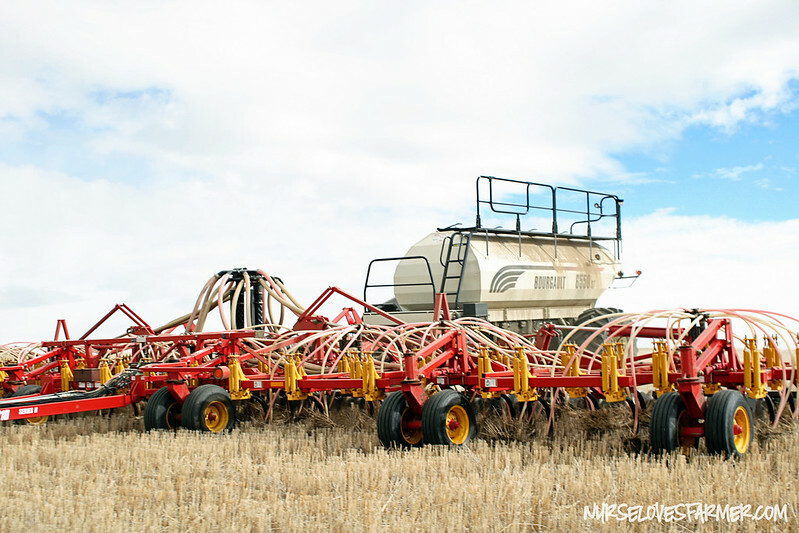 I love that you call it "seeding" we call it "planting" – I love seeing the differences! Oh and I agree with Heather, LOVE all that land around your house – that would be amazing!!! That's funny, Libby…I laugh when I see people calling it "planting". I think "you plant a little garden, you seed a big field" haha! I do love the land, but we need some darn trees! So cute!! Love all your pictures. What Lens did you use to take them? I need to invest in a couple new ones! Thank you so much! This is the lens that came with my camera. A sigma…something! But the portrait lens I bought a Canon 50mm f/1.8 I got for $100 with shipping on eBay and it's a wonderful upgrade lens for a good price! These are such great pictures. 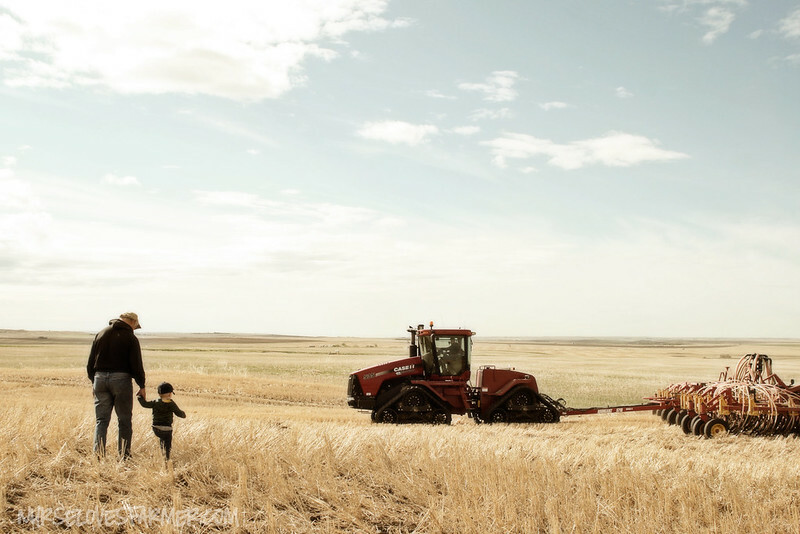 I know pretty much nothing about farming, but i just love these pictures — all the land around your house – how great! 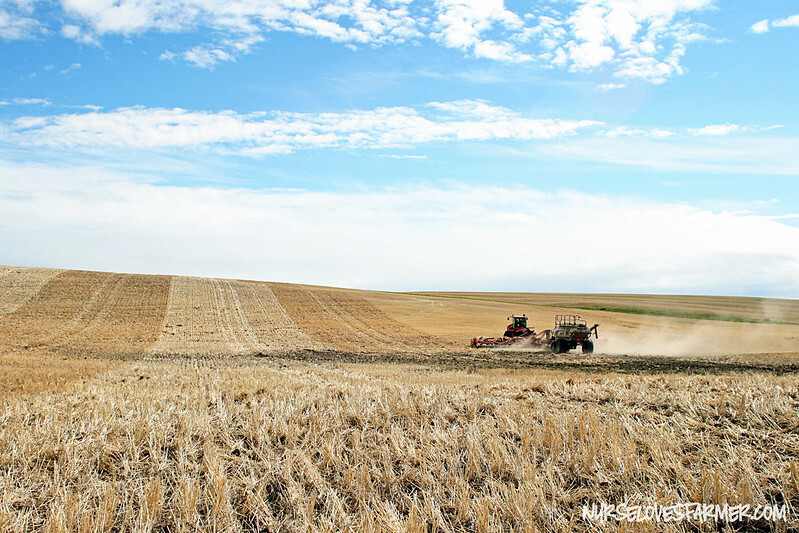 Oh thank you so much, I hope to educate the blog world about grain farming one picture at a time – hehe! AWESOME PHOTOS! I bet Braden looooooooooooves helping out! We have screaming meltdowns around here when it is time to put the tractor away and come in. You guys have such different equipment up there than down here; but I'm guessing because you are either planting a different crop or because you plant massively more acres. So I'm assuming that seeder no-till and what goes in the trailor behind it is the seeds that go to the planter in the tubes? Never saw anything like it!! What crop is being planted? Yes, I imagine things are a lot different! That is one of the biggest seeders you can get, we plan about 4500 acres with just my husband and FIL. 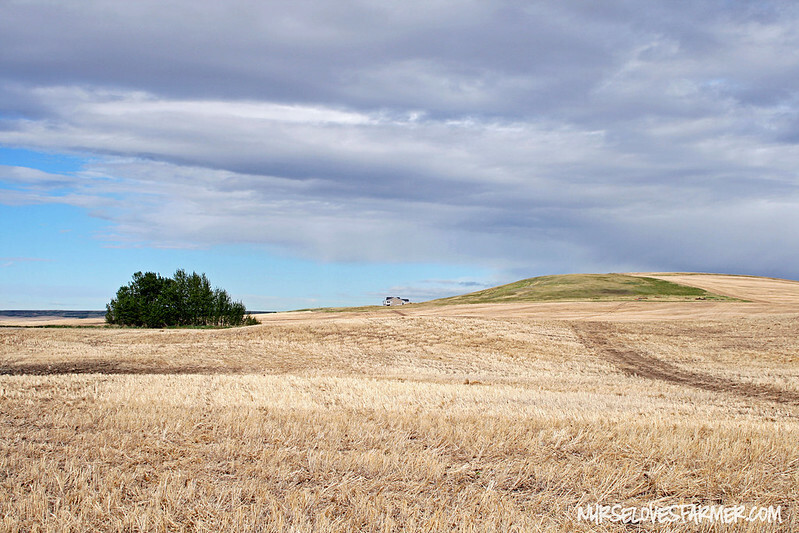 We seed wheat and canola – that was a wheat field. 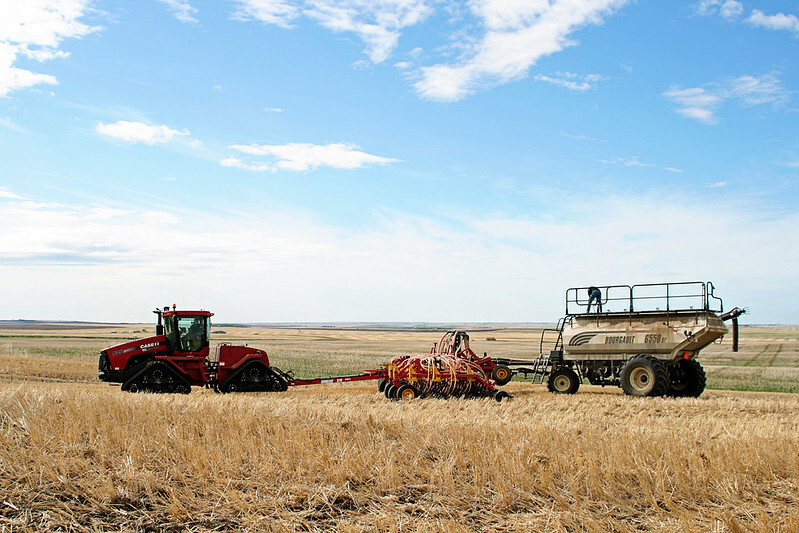 The big tank (Bourgault) holds the seed/fertilizer and the tubes feed it into the ground. Hope that makes sense! that is a really neat system! we grow wheat here but it gets planted in the fall. and no canola. 4500 acres! crazy!! our "big time farmers" around here [ohio] are "REALLY BIG TIME" if they farm 1000 acres [my great uncle]; and that is mostly land they rent. the farmer in this area that owns the most land of anyone i know of owns 500. it is so neat to see how different it is out west and up in canada! What great photos! I am sure this time of year is so busy for your husband! It's SO busy! Single-momming it for sure, he's gone up to 16 hours a day, minus the rainy days. These are great photos! I like the ones of them walking too! Something so special about a photo like that! Thank you so much, yes I love it when I can capture the moments like those! 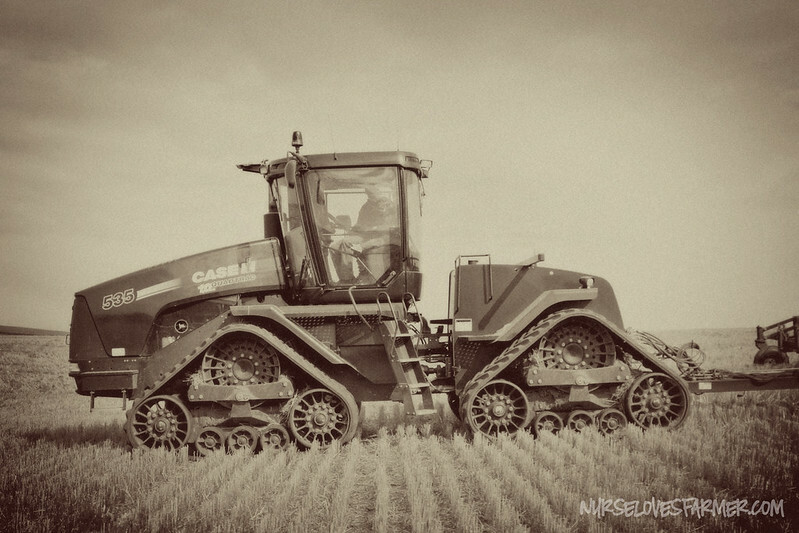 I hope he keeps up his keen-ness on farming! I know his daddy and papa are counting down the days until he and Luke can help! Thanks so much! That nice blue sky came out just in time to snap a few pictures.